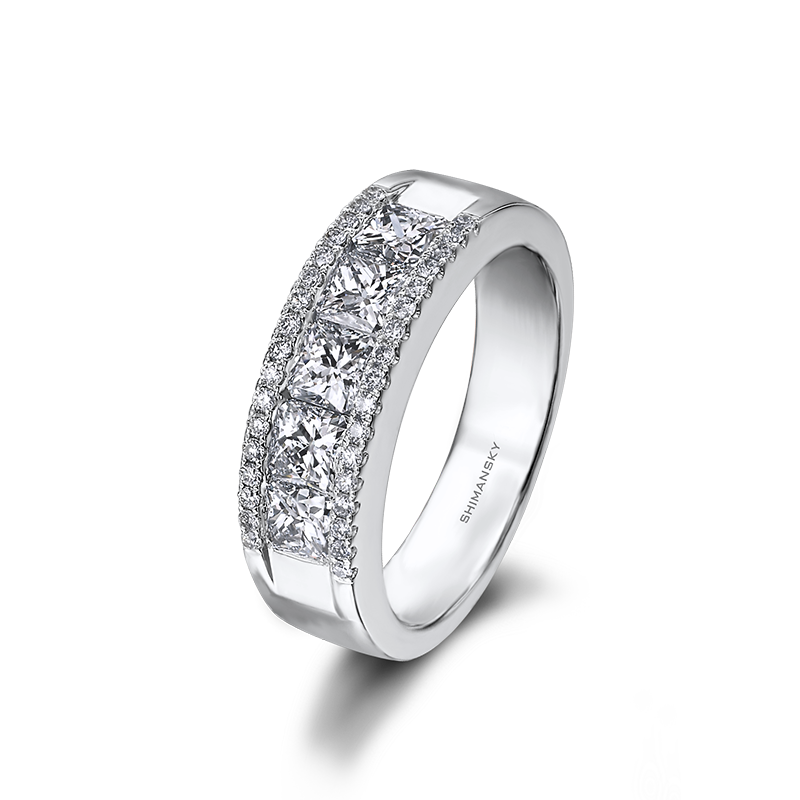 Five brilliantly matched My Girl diamonds are expertly channel set in the half eternity ring shown containing two parallel rows of micro set round diamonds that complete the design weighing 1.46ct in total and set in 18K white gold. Available to order, this exceptional design and showcase of craftsmanship can be created to your specifications. 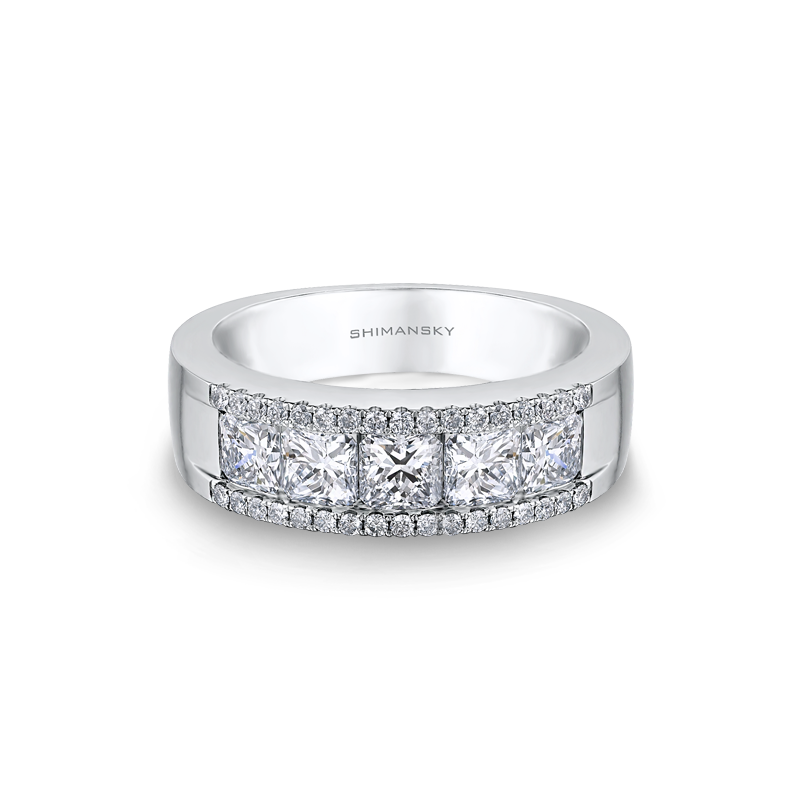 Celebrate your eternal promise with this My Girl half eternity diamond ring. 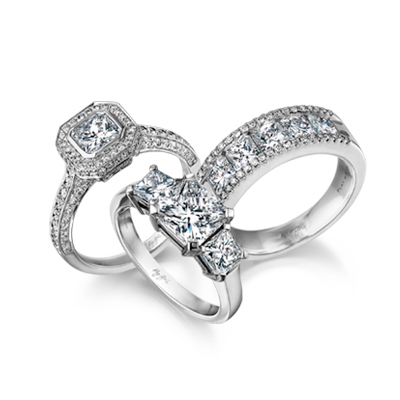 Skilfully set by a master craftsman, the world’s first square-cut diamond with a diamond-shaped table epitomises everlasting love and infinite devotion.